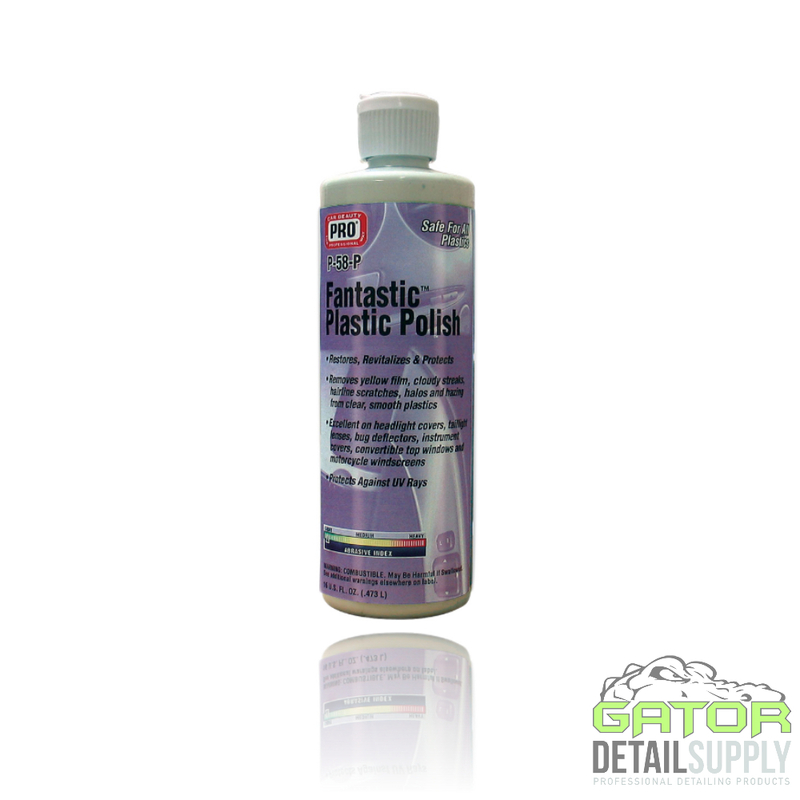 Fantastic Plastic Polish is amazing at revitalizing & protecting while removing yellow film, cloudy streaks, hairline scratches, haze & halos from clear, smooth plastics. Excellent on headlight covers, taillight lenses, bug deflectors, instrument covers, convertible top windows & motorcycle windscreens. 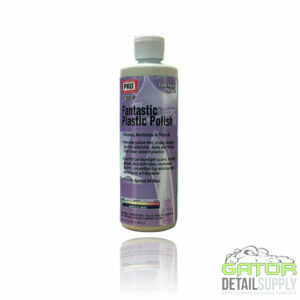 Protects against UV rays for hand or machine use. VOC compliant. Meets CARB/OTC Regulations.